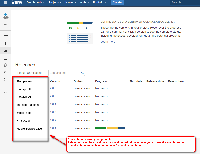 [JRASERVER-3501] Allow Versions of components - Create and track feature requests for Atlassian products. Thank you for all your votes and comments on this suggestion. We realise it took us long to update the status of this suggestion - thank you for your patience. We (the Jira Server team) have recently reviewed this suggestion and how it would fit alongside our strategy and other customer priorities. I am afraid we are not planning to invest in allowing versions of components in Jira. Since investing in versions of components in the Jira Server is not aligned with our strategy and roadmap, we will be closing this issue. I understand that our decision may be disappointing, but we also hope that you will appreciate our candid and transparent approach. You can learn more about our approach to highly voted Server suggestions here.